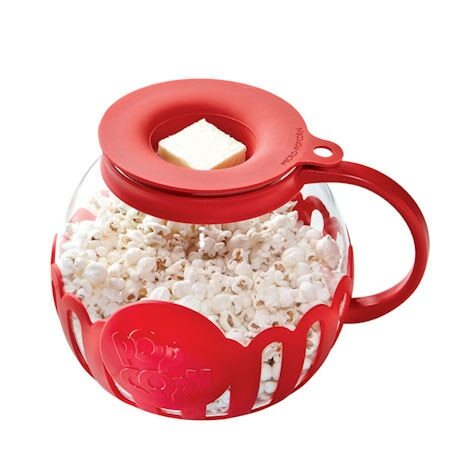 Make popcorn in your microwave in minutes with no oil (and fewer calories). 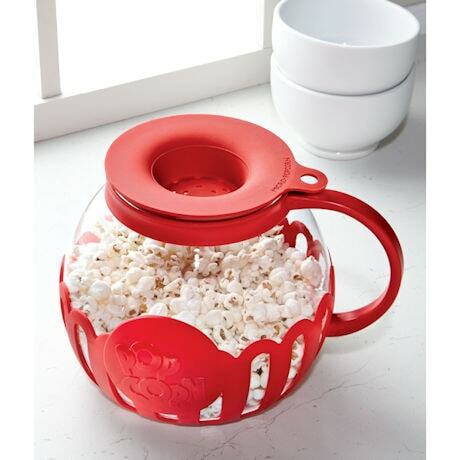 Silicone lid measures kernels and keeps corn from popping out. 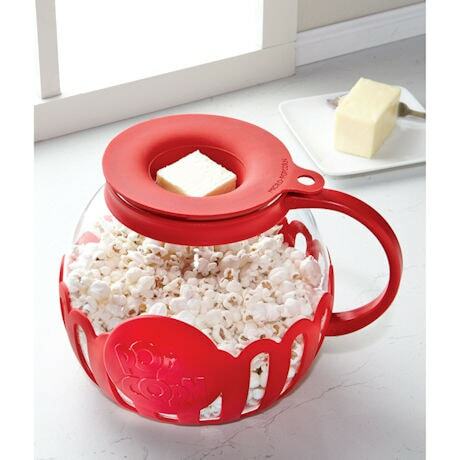 It also melts butter and distributes seasonings. 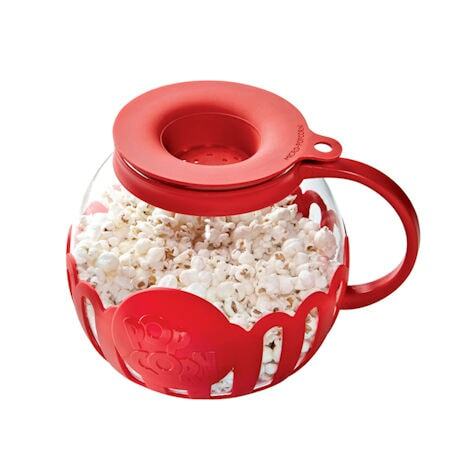 Bulb-shaped glass carafe yields more popped kernels and fewer burned pieces. Instructions and recipes included. Microwave use only. Dishwasher safe. 7" diameter, 7" high.